Hands are the beautician’s most valuable tool: soft, warm, expert, they make contact with the client and create a privileged and intimate relationship. 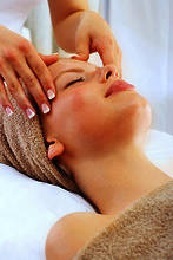 They cannot be replaced, they are the link between the skin and the beautician. Better than any technology or pre-programmed machine, their hands guide the beauticians throughout the care. A source of physical and mental well-being. Gives value to a personal approach and distinguishing know-how. Our care protocols, to take into account the different types of client morphology in order to create true personalised treatments. Our unique, high performance methods, from the medical world, adapted to beauty salons. Know-how, so that a THALAC approved beauty salon can become a true “care centre” for body and facial care. Our products, their unique formulas and the benefits of the THALAC natural active ingredients. *THALAC has developed individual and adapted training with a duration from 2 hours to 36 hours (2 hours per care protocol) Training in an institute. The range of products designed for home use completes the professional care offering. They make it possible for the client to maintain the benefits of the THALAC care between sessions, thanks to a high level of active ingredients and an identical formula to the professional range products. Selling these products creates an additional source of revenue and gives increased efficiency to the beautician and her client. Guarantees the continuity of the care and the long term effect of the protocols. Increases results and satisfaction during care in the institute and between each session. More client loyalty: satisfaction and an exclusive sales circuit. The opportunity to develop the product sales arguments. An increased turnover thanks to the advice, recommendation and sales.